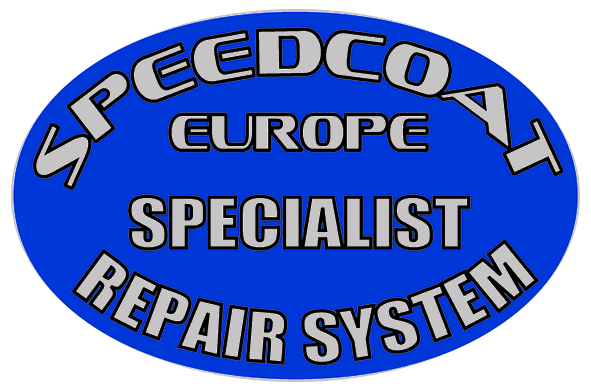 Product FAQ's - SPEEDCOAT Europe Ltd. Please see ‘REPAIRING THE IMPOSSIBLE‘ section image and caption No. 4. We offer a choice of 25 stock colours but our most popular colours are White together with our range of ‘white’ hint colours of Apple White, Bluebell White, Barley White and Rose White. The SPEEDLINER EURO HC® product exclusively used by all authorised SPEEDCOAT EUROPE Dealers / Applicators has great resistance to many industrial, commercial, household and domestic chemicals. If in doubt regarding cleaning chemicals that may be used please contact SPEEDLINER® EUROPE Technical Advisor. Depending on the Dealer / Application Centre’s schedule, Caravans or Motorhomes that have had a SPEEDCOAT application may be collected on the same day or next morning. Weather conditions like cold temperatures may also dictate that the vehicle should stay at the Dealers / Application Centre overnight to protect the new shower tray liner while in its early stages of curing. 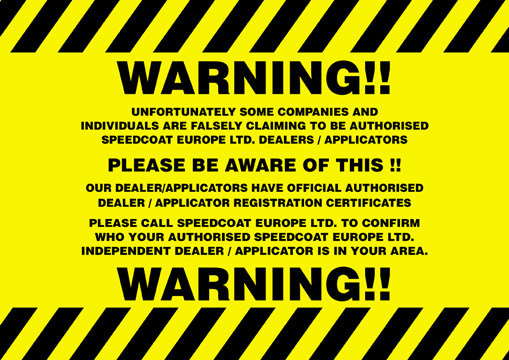 Please check turnaround time with your SPEEDCOAT Dealer / Application Centre. A SPEEDCOAT application usually becomes dry to the touch in about 30 – 40 minutes at average room temperature 22°C (72° F). Full cure to achieve our proven fantastic strength takes 3 to 5 days depending on temperature. With sensible care the shower tray is functional and usable after approximately 36 hours. Colder weather may slow the full cure time slightly but the SPEEDCOAT application will still achieve full functional strength. The cost of a SPEEDCOAT application may be dependent on the size and complexity of the shower tray or shower cubicle area and if any other repairs are needed such as undertray support or major cracks or fractures to the tray or cubicle molding. Please check with your local SPEEDCOAT Dealer / Applicator as they will need as much information as possible or may want to inspect the damaged shower tray prior to costing. Final prices may vary slightly from Dealer to Dealer depending on their geographic location. Many of our SPEEDCOAT EUROPE Dealers / Applicators offer a mobile service. Please check with us if this is available for your location. The individual SPEEDCOAT Dealer / Application Centre warrants all application work and complies with the warranty requirements given in guidance from the National Caravan Council. The polymer products used by SPEEDCOAT EUROPE authorised Dealers / Applicators have a lifetime warranty against any product defects with the original purchaser of the SPEEDCOAT EUROPE application.